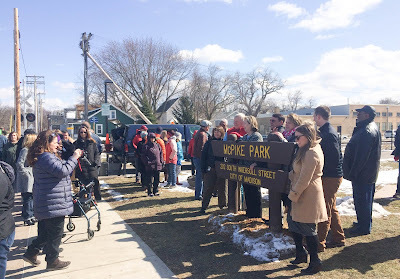 McPike Park was dedicated in April 2018 in honor of of Milton McPike, former principal of East High School. My guess is that most of us don't remember our school principals, or at least not nearly as well as we remember our teachers. But principals can make a big impression. As a parent, I understand that they set the tone for the school and model leadership. 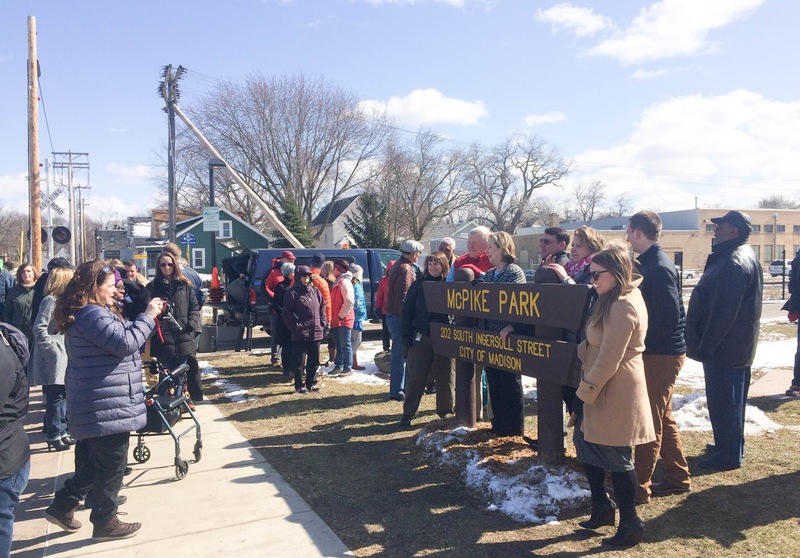 The naming of a central park in our city seems like a fitting honor for Principal McPike's exceptional role in this east-side community. I was impressed when a friend told me she applied for a transfer to East High School while he was in charge. She left her own neighborhood school in order to be part of a school that valued diversity and inclusion under Principal McPike's leadership. She remembers him well, saying he really took time to build personal relationships with his students. Tammy Thompson Kapp was the first principal I got to know as a parent. When my daughter started kindergarten at Lapham Elementary School, she welcomed my family. We got to know each other and worked together on several projects. I especially appreciated her ongoing advocacy for a crossing guard at the corner of Ingersoll and Dayton Street. Principal TK worked really hard to make this important safety measure a reality. On the first day of school this year, Principal TK's legacy was solidified for my family when I greeted the brand new crossing guard. Principal TK has moved on now and Lapham Elementary School has a new principal. 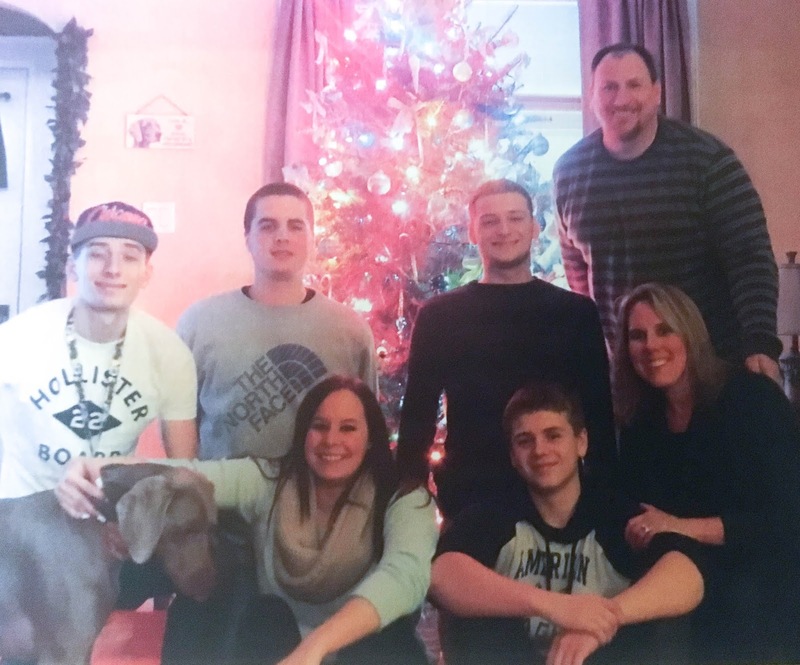 Her name is Cathy Prozanski and I'm excited to share some of her ideas and interests so we can get to know her and welcome her to the community. 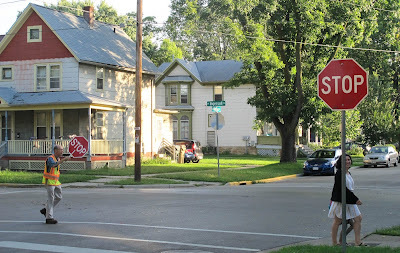 The new crossing guard at the corner of East Dayton and Ingersoll on a busy first day of school. Meet the new principal of Lapham Elementary School, Cathy Prozanski! Me: Where are you from and what are you most excited about in Madison? Cathy: I am originally from Edgar, WI which is a small town west of Wausau. I grew up on a farm there. I am the oldest of four kids, and have three younger brothers. I went to college at UW-Eau Claire where I received my B.S. in Elementary and Special Education. I received my Master's Degree in Ed Leadership from Viterbo University. 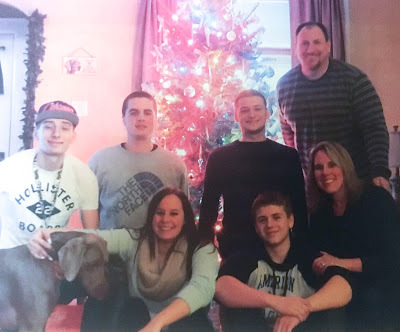 My husband and I have five children, four boys and one girl. We moved to Madison because we wanted to be in a larger city with more diversity and more fun things to do. We love the Badgers and the excitement of living in a bigger city, where there are always things to do. Me: What do you find most interesting or exciting about Lapham School? What excites you about this first school year? Cathy: I love that Lapham is a 4K-2 building. The learners at this age have unique needs and when the building is only this age group, many things can be tailored to early learners. I am also excited about the growing diversity of the school. First years are always a bit anxious but I am looking forward to getting to know everyone. I love change but I also love the familiarity that grows from change. Me: What is the most interesting and inspiring trend in education you see right now? Cathy: The focus on the cultural components of education. Trying to meet the needs of our under served populations. I truly believe that all students can learn at high levels and strive that we can meet that goal at Lapham. I also like the trend of partnering with parents on a level that involves learning. Home visits and daily communications that involve exchanges of information that allow parents to support their child through the educational process. Kids: Where do you hide the donuts and coffee? Kids: What is your favorite snack? Cathy: Chips. I love chips. Kids: When kids hear you making announcements on the loud speakers in the classrooms, where are you talking from and how does it work? Cathy: I use the phone in my office. I dial a special number and it goes through the speakers. Kids: What are some of your pet peeves? Cathy: When people are unkind. Everyone is going through their own growing and learning. Sometimes that journey is more difficult. Everyone deserves empathy. A huge thanks to Cathy, and welcome to the Lapham family!